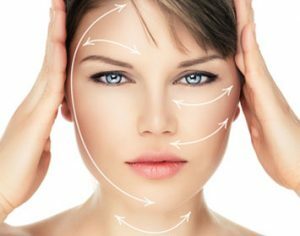 HSA Dermal Clinic is proud to offer an extensive range of chemical peels for customers across London and Surrey. Whether looking to address an existing problem or simply intensify the radiance of your skin, our cutting-edge chemical peels deliver unbeatable results at an affordable price. Chemical peels use a variety of active ingredients to remove the damaged outer layers of the skin, immediately enhancing and smoothing the texture of the skin’s surface. Additional ingredients nourish the skin’s deeper layers, while encouraging the development of healthy collagen and elastin for a supple and youthful appearance. Our chemical peels are suitable for the treatment of facial blemishes, fine lines and wrinkles, pigmentation issues and many more common conditions besides. We tailor every treatment we provide to meet the exact requirements and budgets of each customer individually. To learn more about our chemical peels in London or to arrange an obligation-free consultation, contact a member of the HSA Dermal Clinic team today. For the total package of unbeatable results and guaranteed value for money, you won’t find a better deal anywhere in London! Discover what makes the Alumier skin peel one of the most ground-breaking advances in the field of clinical dermatology. Considered worldwide to be one of the most capable and versatile peels ever devised, the Alumier skin peel can be used to quickly and effectively address a variety of common skin conditions. A powerful combination of natural ingredients deeply exfoliates the skin, removing dead skin cells and nurturing the rejuvenation of the skin’s surface. After just a single use, common conditions such as hyperpigmentation, inflammation, redness and even fine lines are noticeably reduced. As a uniquely gentle, non-invasive treatment, the Alumier skin peel requires no downtime and is suitable for the vast majority of skin types. Clinically-proven to enhance the clarity and natural beauty of the skin, Alumier skin peels continue to set the highest standard for the clinical dermatology industry worldwide. Contact a member of the HSA Dermal Clinic team today to discuss the extraordinary benefits of the Alumier skin peel in more detail. A glycolic acid peel is one that contains glycolic acid as its main component. Glycolic acid is a highly effective treatment for acne, acne scars, lines and wrinkles and is derived from sugar cane – a natural product. Glycolic acid belongs to the alpha hydroxyl family of natural ingredients. The specially formulated chemical solution in a glycolic peel removes the outer damaged skin layers that may be dry and patchy, or lined and wrinkled, with sun-spots, age-spots, acne, or pimples. Once the top layer of skin peels off, it leaves behind a fresh, new layer that’s undamaged, smooth and luminescent, leaving you looking younger, with reduced blemishes and fine lines. A glycolic acid peel is a light peel with no recovery time needed and no pain, redness, or swelling to the skin. Very often, one glycolic acid peel isn’t enough to completely repair and revitalise your skin, so it’s best to have a series of peel treatments over a set period, as advised by our professional team at our London skin treatment clinic. A TCA, or trichloroacetic acid, peel is another type of chemical face peel. It comes in different strengths, depending on the deepness of the peel required. A TCA peel is used for the treatment of dark skin, pigmentation problems, fine lines and sun- and age-spots. Depending on the strength of the peel, recovery can take from just a few days to several weeks. Note: A TCA chemical peel does not suit all skin types, and may not be the best treatment for certain skin types or conditions. Our team of highly skilled professionals at our skin treatment clinic in London will advise you in this regard. Done properly on the right skin type, a strong, medium-depth TCA peel produces wonderful results. It reduces age- and sun-spots, as well as greatly improving the texture of dry and hard sun-damaged skin. Overall, your skin will be smoother, revitalised and more luminescent. Another popular and highly effective treatment is a Dermamelan peel. This peel reduces and in many cases entirely eliminates skin blemishes of a melamic nature. This includes freckles, melasma, age pots and sun spots. A Dermamelan treatment increases your skin’s softness and luminosity and leaves you with a clearer, tighter skin tone and a younger looking complexion. As well as lightening the skin, a Dermamelan peel hydrates and increases the skin’s plumpness. It’s safe, doesn’t contain hydroquinone, is simple to apply and reduces all types of melanin skin blemishes including sunspots and dark patches. The Dermamelan treatment formula has excellent skin tolerance – it equalises skin tone and gives it a younger looking lightness and luminescence. Results are normally evident within a week after treatment, with continued improvement over the next four to six weeks. Cosmelan is a mix of different depigmentation agents, which help to decrease the production of melanin in the skin. A Cosmelan peel, or mesoestetic peel, is ideal for heavy pigmentation and works by inhibiting the production of tyrosinase, an important enzyme in the formation of melanin. Several substances in the Cosmelan peel formula block this enzyme. This peel is safe, has minimal side effects, rejuvenates the skin, and lightens dark areas as well as ageing spots. Cosmelan is applied as a mask and left on the face (or other area of the body like the hands, arms and neck) for up to 8 hours, depending on the severity of your skin problem. The mask is removed with water and a cleanser, and a mesoestetic K cream is then applied. Thereafter Cosmelan 2 cream is applied twice daily for two weeks, and once daily from then on. Results show after about 4 weeks and your skin should look more luminous and rejuvenated. Inflammation that develops in the red or purple marks left behind after acne begins to heal, causes skin cells to produce more melanin. This leaves the skin with ugly marks, sometimes called ‘macules’, which can remain on the skin for months, sometimes even years. The best acne treatment is a chemical peel. A chemical peel for acne is often the only way to clear the skin. Peels like Zo Obagi, VI Purity, and Acnelan are the preferred choice, because they permanently remove these. Acne scar treatment is quick and safe and the results are long-lasting. Other peels that are beneficial for acne are salicylic acid-based peels. These have different strengths and the choice depends on the severity of the acne and the skin condition. The highly effective Acnelan peel consists of a multifactor mask, which exfoliates the skin and reduces acne scarring, whilst removing all impurities from the skin. After the initial Acnelan peel treatment, our professionals apply a post-neutralising spray and then gently massage into the skin a pore-sealing solution. At home, you’ll need to apply a number of Acnelan peel skin products supplied. A day after treatment you may experience a slight redness, or hotness of the face, and some itchiness, as the peel does its work. For the next few days, you’ll become aware of the skin shedding. Results of your Acelan mesoestetic peel should be immediate – there’ll be an improvement in the condition of your skin – your complexion should be clearer, smoother and more radiant and the acne scarring much reduced. The Nefertiti neck lift is a fairly new procedure that redefines your jawline and softens any lines and wrinkles on the neck using Botox. These neurotoxin injections provide ‘lift and neck tightening to restore the elegant lines of the jaw and neck and help you recapture your youthful appearance. This procedure, performed at our skin treatment clinic in London, is simple and painless. A few Botox anti-wrinkle injections are made into your neck and along your jawline in the platysma muscle. The result? Neck tightening and lifting of the skin. The overall effect is a visible reduction in wrinkles and loose skin on the neck. Why is this treatment called ‘Nefertiti’? Well, Egyptian women took beauty, attractiveness and youth very seriously and developed many preparations to improve the way they looked. Nefertiti was an Egyptian queen, known for her sculptured jawline and smooth neck and it’s her name that inspired the treatment known as the Nefertiti lift.